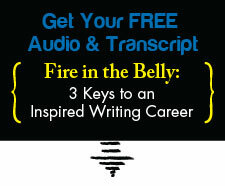 writer | Writing & Book Coach | Marla Beck, M.F.A. I believe this deeply. The world needs to hear your voice. That’s why, for well over 10 years, I’ve dedicated my work energy and my passion to supporting, challenging and catalyzing writers like you… writers who are driven to infuse more subtlety and compassion, more curiosity and nuance into the cultural conversations we engage with every day. Writers I work with are taking action to change the world, one reader at a time, whether they are literary fiction writers or journalists; aspiring authors or freelance writers; essayists, novelists or non-fiction writers. No matter the form their stories take, each of these writers shares this trait: rather than react to the world around them, these brave, midlife writers are going deep within themselves, getting crystal clear about their passion, and doing whatever it takes to move past their fears and take ACTION to write, craft and publish stories that matter. We are living in a destabilizing time. So much is happening around us, it’s very tempting to give away our hours (and our equanimity) to current events. Definitely, stay awake in this world. (This is a must.) Stand up for your beliefs. Please, though, don’t let yourself get overrun by external happenings. Never forget that your inner world is alive with stories and light and truth and magic. To truly be powerful and effective, it is necessary to tend to your inner life. Rest. Breathe. Then, get super-clear about the work that is truly yours to do. Some of us are meant to write — it’s who we are. It’s how we help the world. If this is you, I urge you to summon your courage, dear writer, because now… now is the time. Somewhere out there, someone is waiting for you to write, craft and publish that story you care deeply about. They’re waiting for your story, and they’re waiting for you to step up and inform, challenge, delight or inspire them.